Guitar, Mandolin, Baritone guitar, Bass and other things that have strings on them. Jay has been performing and teaching music for over 30 years, and has been fortunate enough to play all over the world . He has played in many different groups and in many different styles, including blues, funk, afrobeat, celtic, r&b, rock, and more. 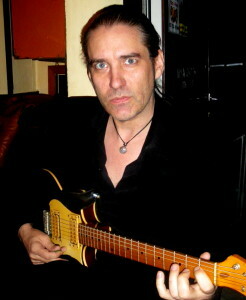 Currently based in Europe, Jay lived and played for 30 years in NYC. Here’s a short list of some Groups and artists Jay has performed with.